Just in case any of you were hoping Hedo Turkoglu had actually signed in Portland to bring more depth at the forward slot, we bring you an email from a friend living in the arctic of Canada. I went to the Washington game this week, and it was just painful to look at Turkoglu on defense. He looked like a man adrift on a sea of uncertainty, with a look on his face that he ceased caring whether he lived or died a while ago. I know we heard that his 11th hour decision to spurn the blazers in favour of the raptors was based on the city, his wife, etc. but really, you have to think style of play entered into it. He's thinking: so I could go to Portland with a respected, system oriented head coach who emphasizes defense first, and has 3 cornerstones they are building a franchise around. OR, I could go to Toronto, with a no-name head coach I can tune out, sit on the perimeter and jack 3s, not work for my offense, and no one will balk if I play NO DEFENCE WHATSOEVER, because no one else on the team is playing any either. Hmmm....what should I do? 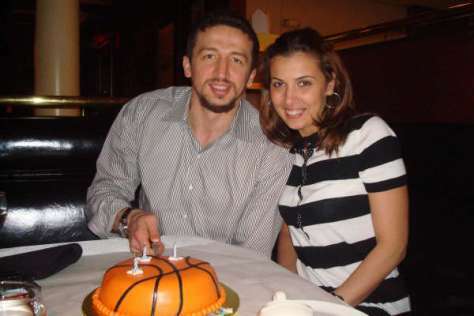 Now, I know we're on the west coast, but has anyone even heard Hedo's named called this year? His numbers all went into the tank compared to seasons past and his age appears to be a factor 3 years in advance. Sorry Toronto. As a Toronto Raptors fan, I was never for this signing. 5 years/50 mill. for 30 year old who had 2 decent years while in NBA? I always thought you guys will be better off giving minutes to talent you already have. And I hoped that we could get Rudy Fernandez somehow...too late now. Maybe you can trade him to Golden State? They seem to want anyone who's willing to just jack up 3's!